University of California Press, 2012, 336 pages. He postulated that psychedelics disturbed the “cerebral reducing valve” (1954), and that this was in fact the shared mechanism for regular drug trips, as well as schizophrenic and mystical experiences. If it were the case, the drugs could offer a chemical shortcut to the divine, and a reasonable way to scientifically study mental illness. With such ideas in vogue, the 1950s were heady years, at least for research on psychedelic drugs. More than 750 articles were published on LSD alone. Some studies made use of the drug experience to model schizophrenia, others to develop treatments for alcoholism. And as Nicolas Langlitz explains in Neuropsychedelia: The Revival of Hallucinogen Research Since the Decade of the Brain, the brain as filter – the idea of gates or doors (which, yes, also gave name to the band) – would go on to serve as a significant shared conceptual matrix for psychopharmacologic research, from experimental psychosis to experimental mysticism (10). Yet, despite great interest in the potential of psychedelics for treating mental disorders, and even hopes for their application to social ills, research in the United States on these drugs broke down in the 1960s as they became associated with the hippie counterculture. One point that Langlitz makes is that this was not a simple matter of government prohibition. Technically, scientists can request highly restricted substances for research, but when it came to psychedelics, they refrained. Inquiry, as Langlitz describes it, was repressed more by the micro politics of ethics committees, government funding, and peer censure than by law. He suggests that the same attention to human actors is required for understanding hallucinogens’ return to grace – for there are all the signs that they have returned, including a crowd-funding campaign for brain-imaging studies with LSD, proclamations from the Chronicle of Higher Education, and a full-length feature on the therapeutic use of psilocybin in The New Yorker. Neuropsychedelia operates on several levels. The book is a historical account of research on psychedelics, and on that score contributes with original material from interviews with those who played central roles. Equally, it is an ethnographic account of laboratories where this work is being done: the practices of neuroscience, and what science as a vocation, fulfilled or frustrated, looks like today. Finally, it embodies an undertaking of fieldwork in philosophy, and, as the result of this exploration of the long tradition of philosophia perennis, a proposal for an anthropology of the perennial. Chapters 1 and 2 cover the rise, fall, and revival of academic research on hallucinogenic drugs in the United States and Switzerland, respectively. Two strategies dominated these trajectories: a depoliticization of drug research through a rigorous focus on its scientific merits (which was, as Langlitz notes, itself a political maneuver), and explicitly political efforts to medicalize hallucinogens for psychotherapeutic uses (45). Both chapters draw from invaluable oral histories that Langlitz collected, so that even though the bulk of basic facts about the U.S. counterculture and drugs is readily available in popular media accounts and other books, the material represents a unique resource. Focusing on the pivotal role of Switzerland in the revival, Chapter 2 offers a firsthand anthropology of policy through the adroit interweaving of social history, international and domestic politics and economics, and the words of a bureaucrat and a scientist who enacted research on hallucinogens when experimentation was almost entirely underground in the United States. Chapters 3 and 4 present Langlitz’s fieldwork in Zurich, describing the lives and motivations of the psychedelic test subjects and researchers from a neuroscience lab where he too participated. The experiments were designed to address the existential questions that drive the researchers: questions about mind and brain, subjective reality, and inner truth. They also raise questions about scientific objectivity and subjectivity, which Langlitz takes up in relation to the work of Lorraine Daston and Peter Galison, among others. He elegantly delves into what he labels the non-representational “enactive model” of psychosis, which aims not at a “naturalistic depiction of schizophrenia but at a comparative investigation of drug intoxication and mental disorder as two distinct states situated on the same ontological level” (22). Langlitz pursues this emergent biomysticism in Chapter 6 as well as the Conclusion. In writing about the forms of life the researchers aspire to, reflect on, and create, particularly in these last two chapters Langlitz includes himself. This goes beyond the autoethnography of his participation in psilocybin experiments: part of the significance of Chapter 3’s analysis of the epistemic virtues and norms of objectivity is that in this Bildungsroman there can be no external position, nor is there a state of illusion that the social scientist reveals. From an early experience of drug-induced loss of self and subsequent euphoric reintegration grew a frustration with precisely such impasses between science and spirituality. In the neuropsychedelic researchers, he seeks and finds a tribe of those who, like himself, do not oppose science to spirituality but instead ask existential questions through science, be it neuroscience or anthropology. They are “‘live questions,’ as William James would have called them—regarding the truth-value of subjective experience and the reconcilability of spirituality and materialism in a disenchanted world” (243-244). At the heart of the book is Langlitz’s yearning to give proper due to this human search for meaning. He documents the responses of his interlocutors in order to find his own. It’s not clear that he accepts mystic materialism as an answer (nor do all or even most of them), but that does not lessen the significance of its appearance and implications. the extraordinary universality of the genetic code—or, to a lesser but still significant degree, of neurochemicals such as serotonin, or arguably of religious beliefs—is neither trivial nor so ill-founded as to be automatically shrugged off. Part of what Langlitz prods at is anthropology’s tendency to shy away from philosophical questions as timeless and universal. He is well aware of the sociohistorical specificity of neurochemical selves and their existential quandaries; he identifies it as his own. The distinctiveness of a contemporary form, however, does not therefore mean that it is entirely singular. Paul Rabinow adapted the phrase “fieldwork in philosophy” (from Pierre Bourdieu, who had acquired it from John Austin) to name an anthropology that intends to see and say something true about the process of emergence of forms (2003: 85). Inquiry in this mode entails “[a] sensibility of constant change, and a certain pleasure and obligation to grasp it and participate in the transformation” (1999: 181). An example is Rabinow’s own fieldwork on the development of the knowledge-thing that is DNA. To a sensibility to constant change, Langlitz adds “a perennialist sensibility of the eternal return of the same.” In his fieldwork he found certain “eternal verities,” constants in the sense of constant variables, of a universality which cannot be presupposed but has to be freshly achieved time after time (251). Langlitz’s proposal for an anthropology of the perennial draws, like mystic materialism itself, on perennial philosophy as eclectically recalibrated by Huxley (from Leibniz’s philosophia perennis, who drew on the Catholic theologian Agostino Steuco, and he from others). This is not a “perennial anthropology” of transhistorical truths or the epochal new monism that haunts the ontological turn. Rather, the attention to material and social context that Langlitz insists is necessary to understanding the rise, fall and renaissance of psychedelic research is also crucial to his anthropology of the perennial, lest we “gnaw on seemingly eternal problems without understanding where they have come from” (253). Beyond its pleasures for those who care for original history or about psychedelics themselves, or whose intellectual interests intersect with any of the book’s explorations (which range far beyond those highlighted here), Neuropsychedelia is an elegant exemplar of both science studies and anthropology of the contemporary. I taught the book in a graduate seminar on research methods, for its lucid depiction of what it can look like to identify questions meaningful to oneself, and set about studying them anthropologically. Methodological terms which can seem like mere buzzwords are in it richly realized: multi-sited ethnography is conducted through participant-observation and semi-structured interviews about a global, yet locally differentiated assemblage, shaped by historical factors, clarified through concept work and, finally, reflexivity about the process at hand. This last bit is worth emphasizing, as in Neuropsychedelia, reflexivity is not directed toward identifying the limits or power of ethnographic authority. Langlitz affirms an anthropology that affects the process of emergence of those objects under study, and also the anthropologist, while proposing a set of distinct interventions into that process. In short, the book’s empirical inquiry is coupled with an effort to develop tools adequate to the problems encountered, including care of the self, and the cultivation of a form of life in which one might undertake fieldwork in perennial philosophy. Meg Stalcup is assistant professor of anthropology at the University of Ottawa. Huxley, Aldous. 1954. The Doors of Perception and Heaven and Hell. New York: HarperCollins. Rabinow, Paul. 1999. French DNA: Trouble in Purgatory. Chicago: University of Chicago Press. ———. 2003. Anthropos Today: Reflections on Modern Equipment. Princeton (NJ): Princeton University Press. Felicity Callard and Des Fitzgerald's "Rethinking Interdisciplinarity Across the Social and Neurosciences"
Stalcup M. Nicolas Langlitz’s Neuropsychedelia: The Revival of Hallucinogen Research Since the Decade of the Brain. Somatosphere. 2015. Available at: http://somatosphere.net/2015/nicolas-langlitzs-neuropsychedelia-the-revival-of-hallucinogen-research-since-the-decade-of-the-brain.html/. Accessed April 26, 2019. Stalcup, Meg. 2015. 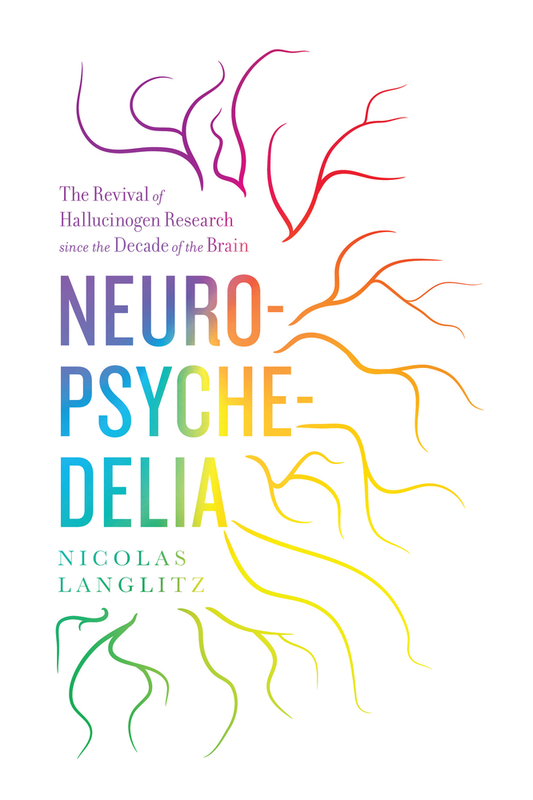 Nicolas Langlitz’s Neuropsychedelia: The Revival of Hallucinogen Research Since the Decade of the Brain. Somatosphere. http://somatosphere.net/2015/nicolas-langlitzs-neuropsychedelia-the-revival-of-hallucinogen-research-since-the-decade-of-the-brain.html/ (accessed April 26, 2019).